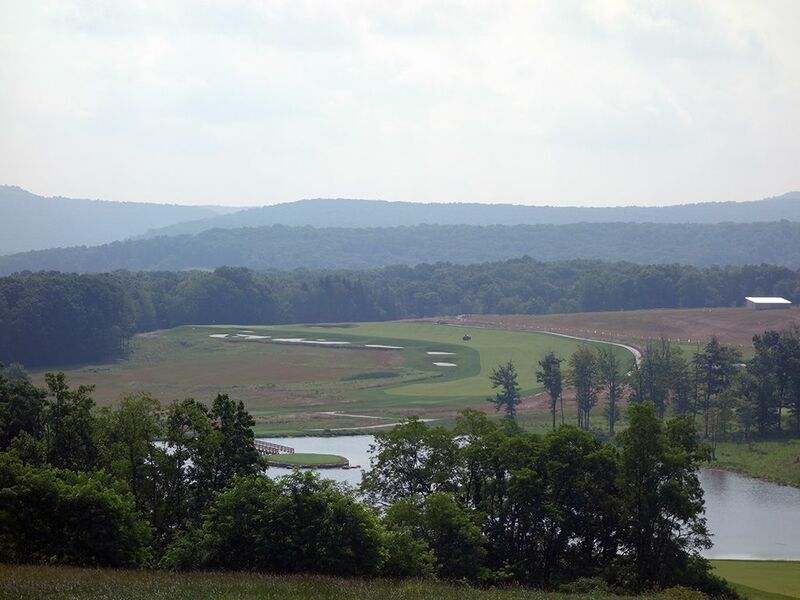 Course Website: Official Website - Visit Shepherd's Rock at Nemacolin Woodlands Resort's official website by clicking on the link provided. 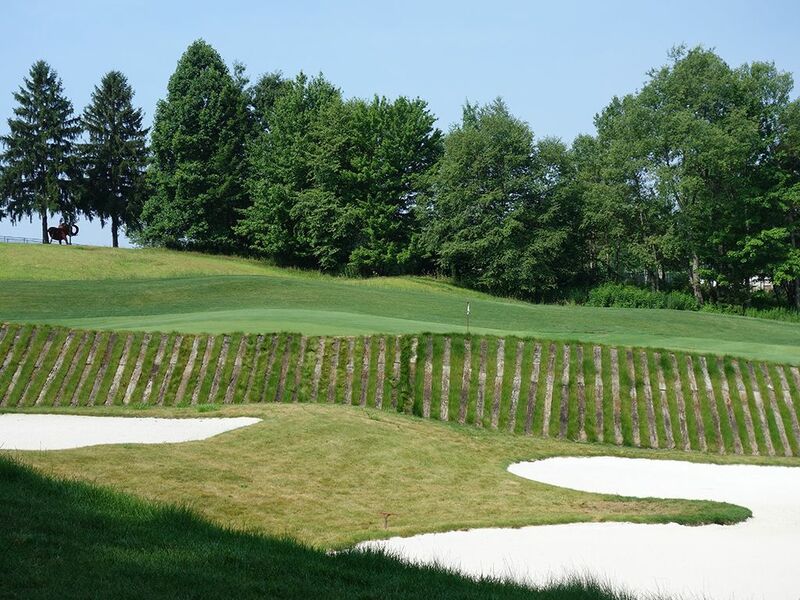 Accolades: Ranked 7th in Pennsylvania on Golf Course Gurus' Best in State list. 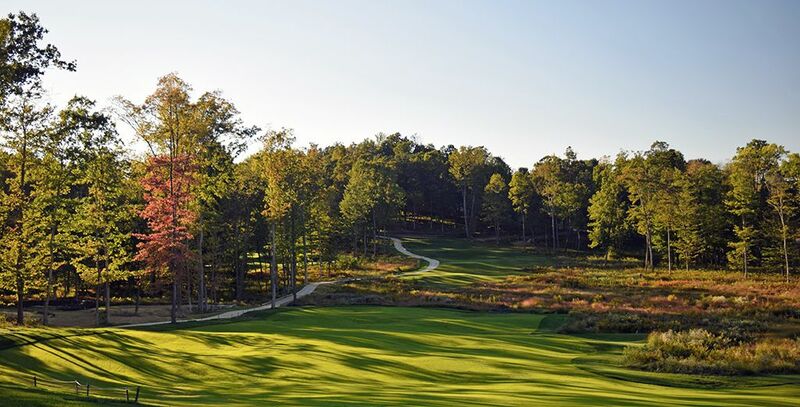 What to Expect: The new kid on the block, Shepherd's Rock, was built in 2017 by Pete Dye with partner Tim Liddy taking a lead role on the design. 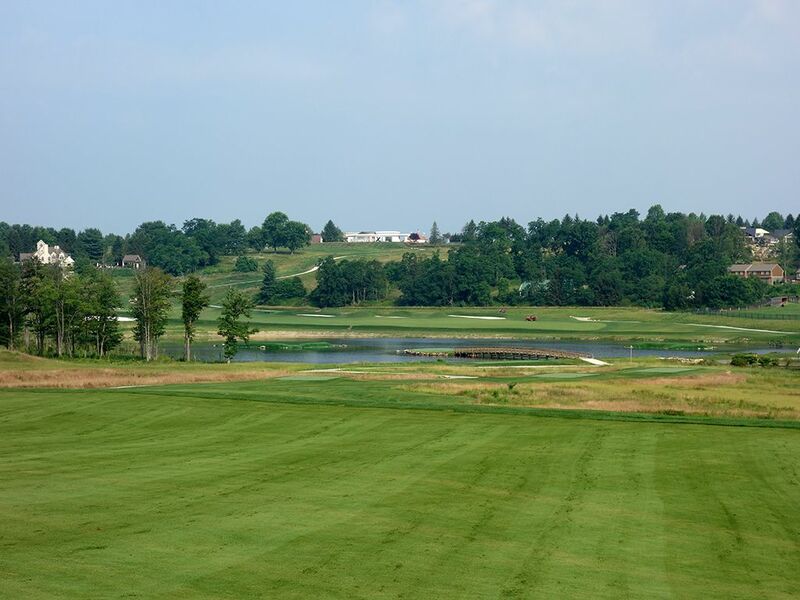 The second course on the 2,000 acre Nemacolin Woodlands Resort, Shepherd's Rock is a kinder layout than most players are accustomed to when stepping onto a track associated with Pete Dye. 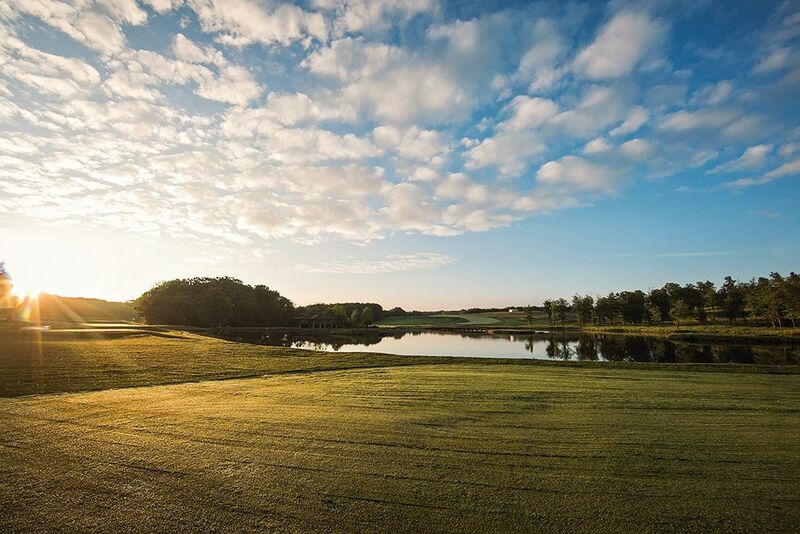 Golfers are greeted with a 244 acre layout over rolling terrain and features wide fairways, a handful of water features, and expansive vistas. 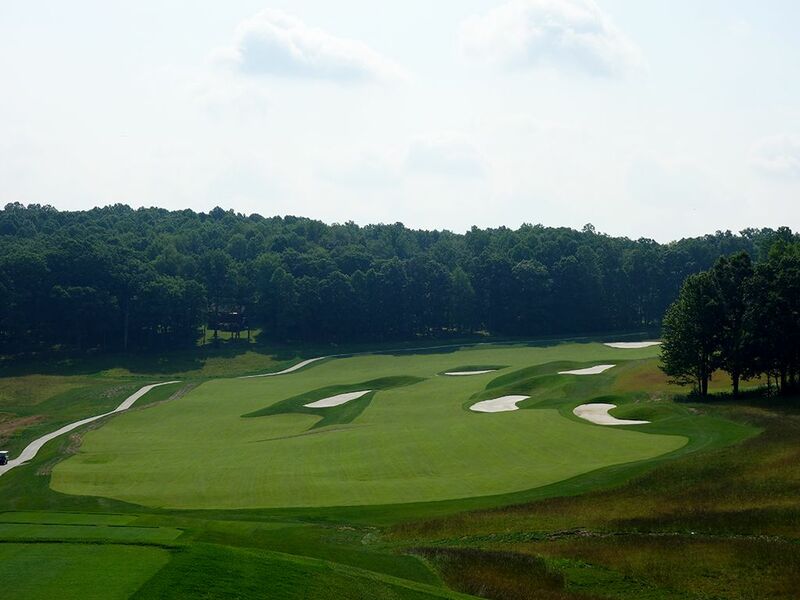 Rated as an easier course than Mystic Rock due to less length, Shepherd's counters with more slope in the greens and a higher likelihood of getting an uneven lie in the bentgrass fairways. The strong opening hole is a sweeping dogleg left plays downhill off the tee before ascending to the green, but things get really interesting at the 4th hole. 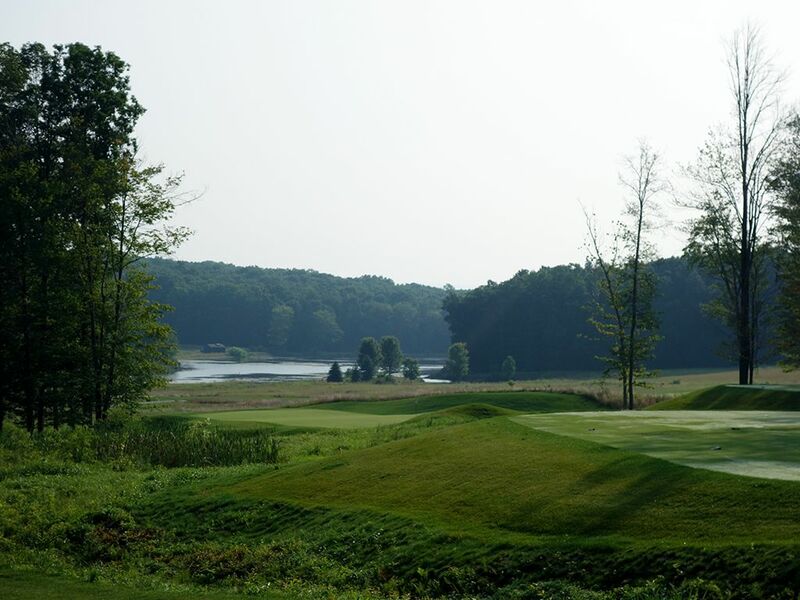 Shepherd's longest hole is a stunning three-shotter with impressive views, a double fairway, and a massive bunker lined in railroad ties. 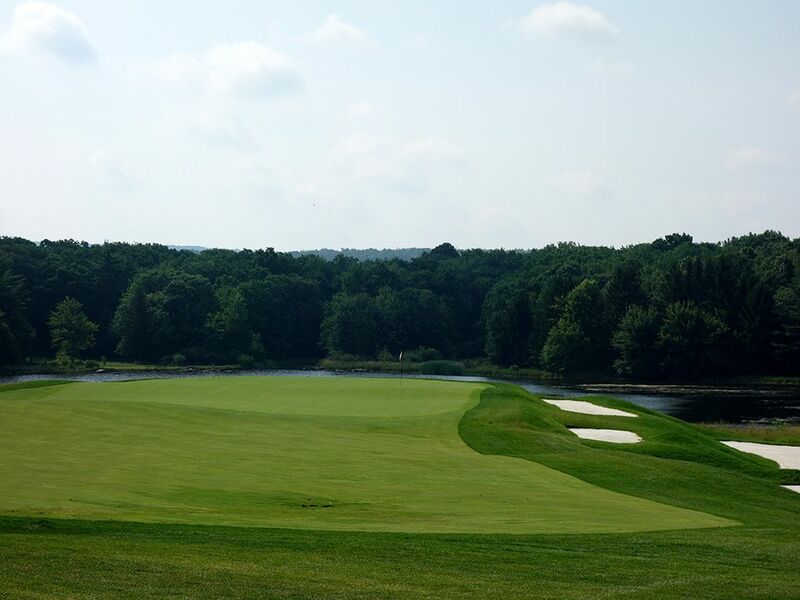 The course continues to deliver memorable hole after memorable hole, including the par five 13th that plays from an island tee box, until the impressive finisher. 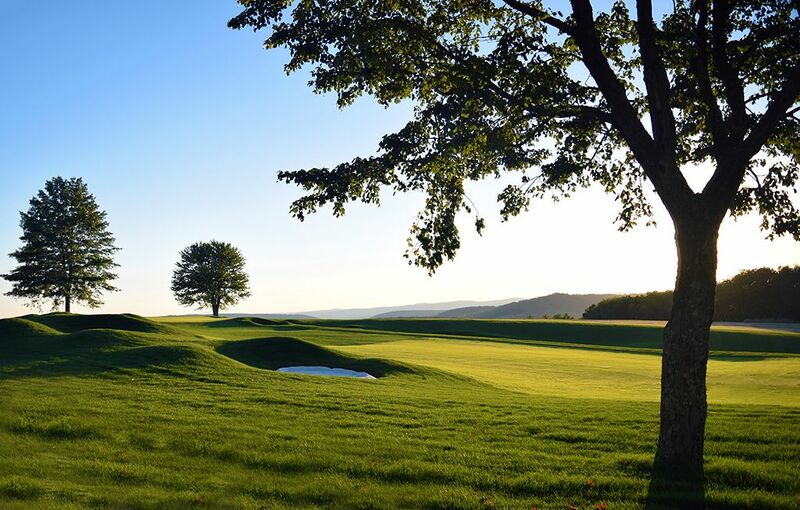 Located 70 miles south of Pittsburgh, the resort is an impressive spread with five lodging options totaling 322 rooms, a luxurious spa with 40 treatment rooms, five swimming pools, 15 dining options, a casino, a multimillion dollar art collection, a plethora of outdoor activities ranging from tennis, to shuffleboard, to mountain biking, to rock climbing, to paintball, to shooting and archery - let alone 36 holes of great golf. While there will be years of debate whether Shepherd's or Mystic is the better course, the author will side with the younger brother in a photo finish. Signature Hole: 5th Hole – 214 Yard Par 3 – The most picturesque hole at Shepherd's Rock is its first one-shotter, the downhill 5th. Tipping out a bit over 200 yards, this hole features an infinity edge green that appears to fall into the lake beyond. For the less bold, there is plenty of room to miss short or left, but hanging a ball out to the right will almost certainly result in finding the white sand in the bunker complex that sits well below the putting surface. The ideal shot is a baby fade off the tee as the green sits at a slight angle to the right. Holes four and five are an impressive one-two punch that highlights the front nine. Best Par 3: 12th Hole – 188 Yards – A semi-blind tee shot awaits on the 12th hole that is framed on the left side with trees and a marsh area. The depressed green has the front third blocked from view by the forward tees and masks much of the four bunkers found in front and left of the putting surface. The green angles from front right to the back left so a rear pin is especially bold to attack as it brings in the most amount of trouble with the least amount of green to work with. 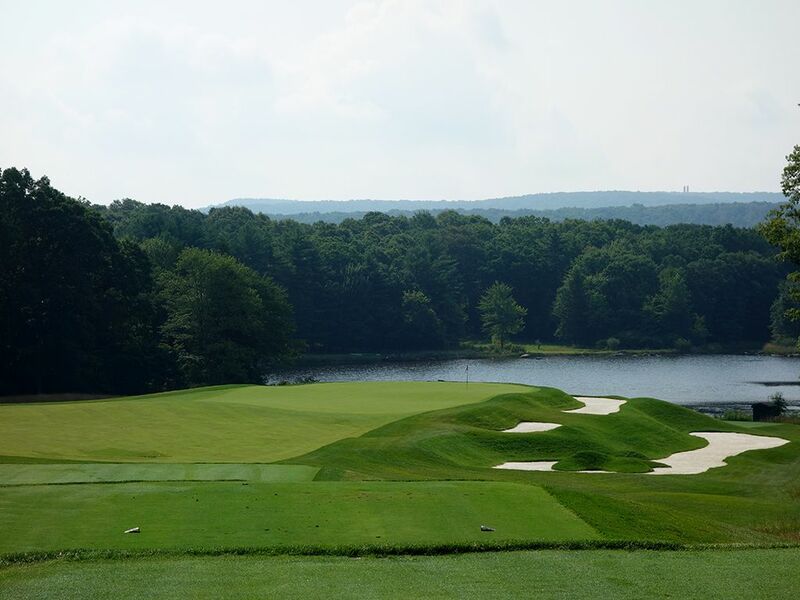 Best Par 4: 11th Hole – 443 Yards – My favorite driving hole at Shepherd's Rock is the memorable par four 11th. 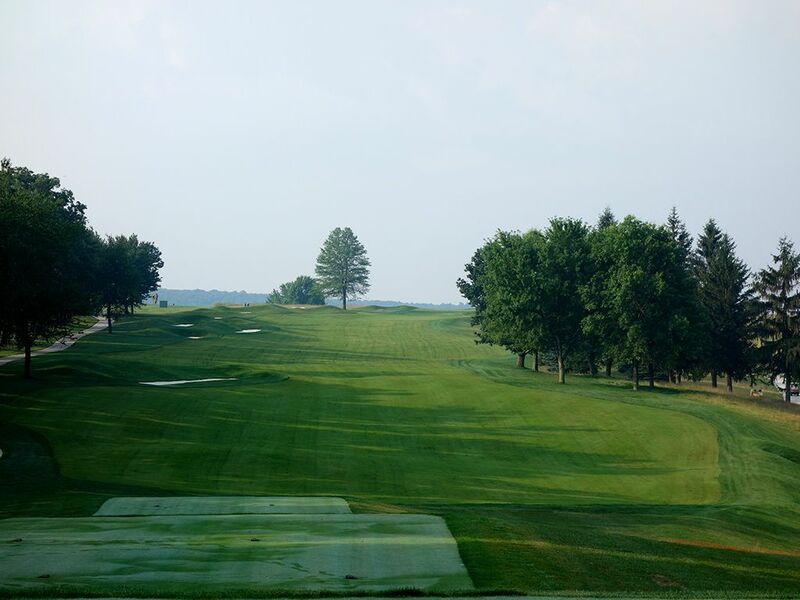 From an elevated tee players are presented with an appealing view with the fairway tilting right to left, marshland hugging the left side, and trees lining both sides of the hole. 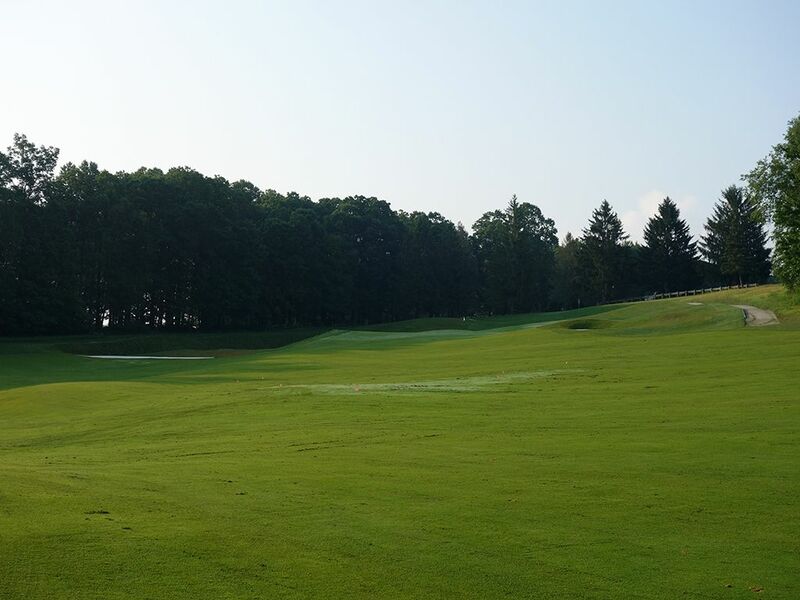 The downhill shot and wide fairway instill confidence in players as they can cut loose on their driver in an effort to get as close to the end of the fairway as possible before it terminates into the native grass area. The approach shot requires a carry over the native area to a green that boasts a ladder of five horizontal bunkers that stack up the left side. The back nine is the better of the two sides at Shepherd's Rock and the 11th is a good introduction to that case. Best Par 5: 9th Hole – 562 Yards – Slated to be the 18th on the original routing, the 9th is a more traditional looking hole and a quality finish to the front nine. 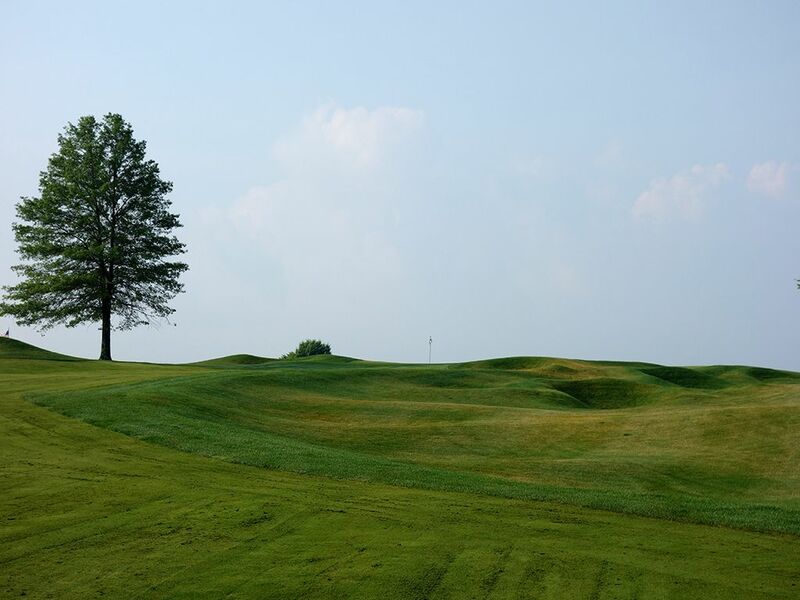 A staggering 16 bunkers are peppered throughout the hole with small mounding surrounding them which creates some visual, and playability, challenges to conquer. Reaching the green in two is a difficult proposition so if you lay up to about 100 yards from the green you will give yourself a comfortable yardage to go pinseeking from and you will also find the pocket in the fairway with the least number of bunkers. The hole climbs steadily uphill the entire way, so add an extra 5% to your yardages. 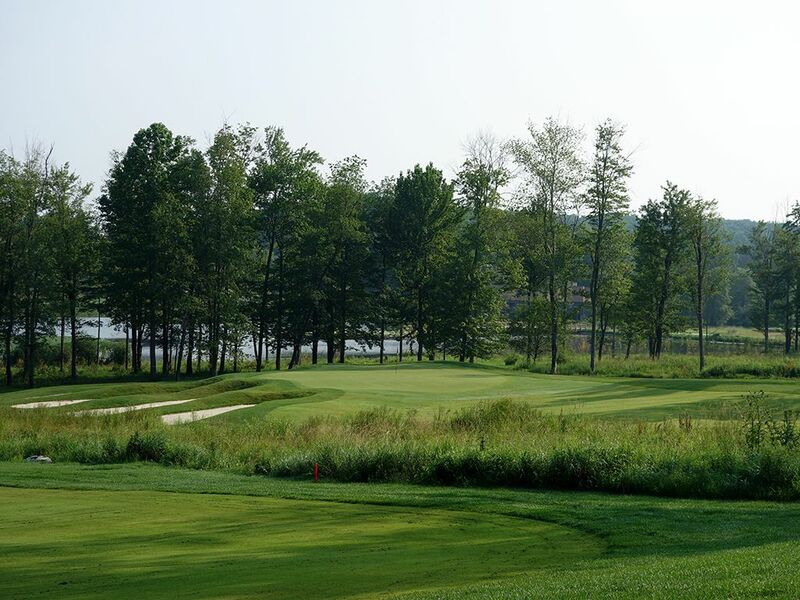 Birdie Time: 13th Hole – 538 Yard Par 5 – Island greens have become increasingly popular since TPC Sawgrass, Coeur d'Alene Resort, and other high profile courses put them on the scene, but an island tee box is a different story. The 13th at Shepherd's Rock features said island tee box on this reachable dogleg left par five. Virtually any tee shot that avoids the slew of bunkers on the inside of the dogleg will be deemed a success and opens the door for attacking the green in two. A lone bunker sits in the fairway a bit short of the green which leaves the putting surface virtually defenseless. With a wide driving corridor, not a ton of length, and a vulnerable green, this is a great hole to take advantage of a card a birdie on. Bogey Beware: 4th Hole – 619 Yard Par 4 – This hole is just flat out awesome. The first few holes are solid but then you get to the 4th and the 'wow' factor suddenly kicks in hard. A downhill tee shot awaits you as a huge right to left sloping fairway stares back and is split down the middle by a lengthy bunker. 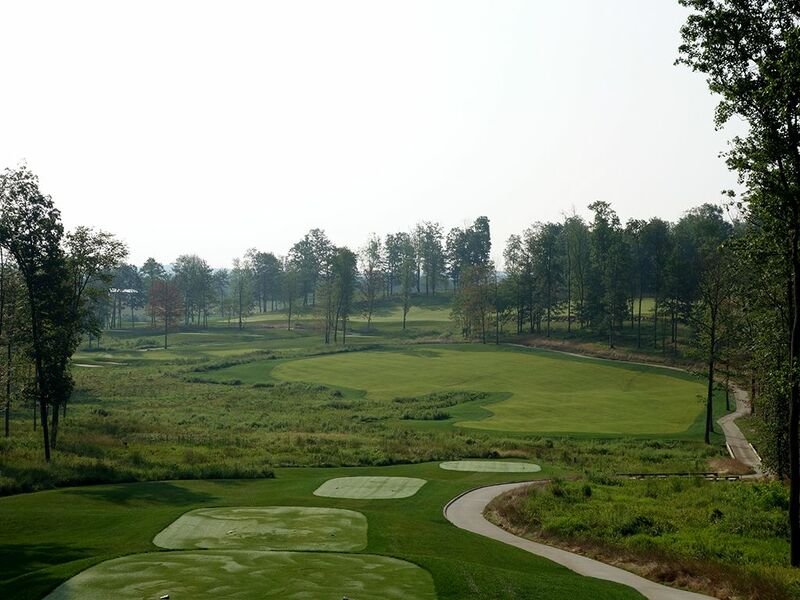 As the hole doglegs right and climbs back up the hill, a pair of deep bunkers frame the left side of the green with Pete Dye's signature railroad ties creating a retaining wall between the putting surface and the sand below. It will take some creativity and skill to get up and down if you find yourself on the wrong side of this hazard. Ultimately, this hole is a ton of fun to play with endless options on how it will finish; with bogey being the most common way.